How are Parasites useful for Reputation Management Drives? 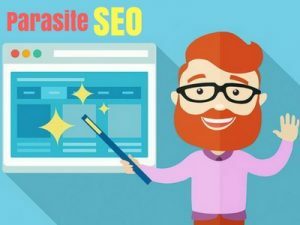 I hope this article definitely help many experts who are not aware of Parasite SEO, I asked about Parasites to few experts who already working in the digital marketing field, but they are not confident about their answers, that’s why I planned to write one article about what is parasites SEO? And, how parasites are useful for Reputation Management Drives? These are the latest techniques in SEO, in our SEO Training in Chennai we have covered a lot of new techniques which help to rank your website within two days. There are lots of new techniques can be used for both organic and local search, parasites are one of the techniques you should know consider as part of your resource. Nowadays, Reputation Management Service is one of the famous services, if you have a negative stuff or your client has some negative feedback, this is a good way to take in brand controlled properties on the SERP page. Recent day’s people looking for the service which has positive reviews, so the many successful services are mainly focusing on brand controlled properties. This is a little different than using Parasites for broader marketing strategy or ranking purposes. Some of you have very good reviews and your client also don’t have any negative reviews but one of your angry competitor to really wants to affect your online reputation so you must focus and follow the best way to control your own destiny. As you want to increase your online reputation in a positive way you need to follow the parasite SEO method. Place your keywords in URL, Title, heading and everything else possible. Make sure that you can place your scam word or complaint phrase on your h2 section. Embed your YouTube videos from your product owned channel if you have them. How to boost local SEO rankings with help of parasites? In local SEO is all about focusing more on striking and relevance a high correlation between the keyword, target business, and location as well as picking up backlinks sources and good citations. Inorganic SEO is more about driving huge traffic from the Parasite stuff. For organic purposes you wish the parasite to rank for highly competitive terms. It’s very easy to rank your parasite than your main website because of the exploitation they can take from spammy links. If you rank well for your parasite in the search result you can get huge traffic to your main site. Parasite techniques are the best way to rank for your competitive keywords or your complaint words to get a good online reputation. If you want to learn the complete stuff in parasite SEO learn SEO Training in a reputed SEO Training Institute in Chennai. Once you gain enough traffic and also good ranking, you will want to make a strong call to action to make sure the traffic of the parasite receives, will be able to permit that along to your planned target. Amazing Article. Thanks for sharing. It shows the in-depth knowledge you have on this topic. Please keep updating.